How Much Are Seller Closing Costs? If you’re thinking about selling your home, you’re probably excited to see how much you’ll make from your investment. However, before you can pocket the purchase price, your home sale earnings will need to cover the costs of the transaction. In this post, we’ll go over your seller closing costs to get a better sense of how much you’ll end up taking home. Closing, as the name suggests, is the last step in the home sale process. At closing, the seller and buyer officially transfer ownership of the home by signing the final documents and distributing the sale funds. Your escrow manager will facilitate the process, helping you with everything from ordering title insurance, preparing closing documents, and communicating with third parties like your HOA. For most sellers, the most significant cost to cover is the remaining balance on your mortgage. Your mortgage payoff only includes the interest you’ve accrued up to your closing date, not the lifetime interest of the loan. Though rare, some lenders also charge prepayment penalties for ending your loan early, so factor that in if necessary. Learn more about selling a home with a mortgage here. Because you get billed for state property taxes only a few times a year, on your closing day, you’re responsible for the taxes that have accumulated since your last payment. Just like with property taxes, you’ll need to cover the HOA fees you accrue in the lead-up to your closing date. You can also expect to pay a fee to your HOA to transfer your property over to the buyer. A title is a document that verifies your legal ownership of your house. When you sell your home, you’ll pay a title company to transfer the title to the home buyer. Many title companies also handle your escrow account, which they’ll include in their bill to you. You’ll also need to bear the cost of the new owner’s title insurance, which will protect them in case there are any issues with the deed. Some states require real estate attorneys to complete a home closing, so depending on your market, you may be responsible for their fees. For example, New York law calls for attorneys, while Texas does not. Home sellers are usually responsible for any fees charged by the real estate agents involved in the home sale. To get your house ready to sell, you’ll likely spend money on things like painting, landscaping, as well as any repairs that your buyer may request after their inspection. It can be challenging to line up your closing dates for selling your old house and moving into your new one. If you buy your new home first, you’ll have to pay for two mortgages until your old home sells. On the other hand, if you sell your current home first, you may end up paying for temporary housing until you can find and close on your new home. If you’d like to avoid the stress and cost of having to move twice, consider selling your home to Perch. We’ll work to line up your closing dates, so you can move out on your schedule and avoid any overlapping housing costs. How can I calculate my closing costs? As you can see, your total closing costs are made up of many individual expenses. As a result, it can be difficult to know how they’ll add up. 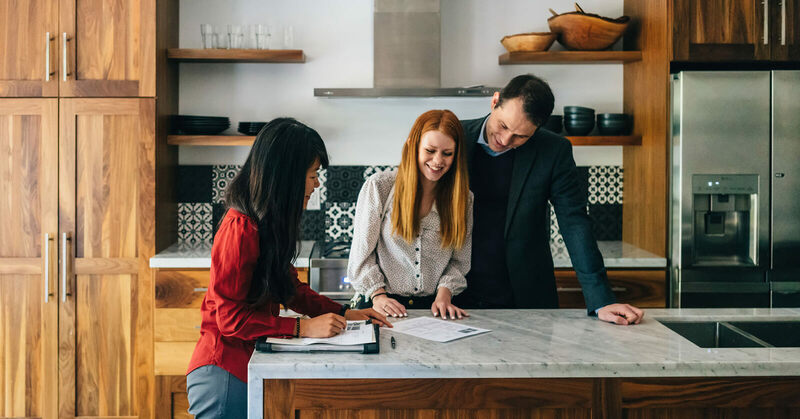 Your closing manager can give you an estimate of your closing costs ahead of time, particularly for your prorated property taxes, HOA transfer fees, and title fees. About a day before your closing date, you’ll get the final breakdown of all the seller closing costs in your official Closing Statement. What closing costs does the buyer cover? Have any questions about what sellers pay in a home sale? We’re always here to help. Send us a note at support@perch.com.